The fact that there are almost as many slang descriptions for convertibles as there are for cars themselves tells us how deeply ingrained into our psyche the idea of open topped driving is. No surprise really considering every single early “horseless carriage” was open topped and you got wet whether you wanted to or not. However it didn’t take long for almost every horseless carriage to be enclosed (for the wealthy passengers at least) while sometimes leaving the chauffeur to get wet out front! 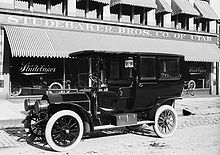 Even the earliest Limos sheltered the wealthy passengers while leaving the driver to face the elements. Some of the most desirable and expensive cars ever made have been cabriolets and if you want to get noticed on the road this is the way to go. However I have always felt deeply ambivalent about drop tops. I strongly believe there are good reasons for anyone to be wary of succumbing to the temptation to sunburn the top of their head. There are I’m sure many many reasons why it’s better to have a chop top over a fixed roof but the only one I can think of is that sometimes (and only sometimes) they look better than their more staid cousins. The standard reasons that we hear time and time again telling us why not to drive convertibles are no less true despite their almost cliched status. We all know they tend to be slower, handle less well, use more fuel, have less space, cost more to buy and run, have bigger blind spots, are less secure, make you look like you are suffering from a mid life crisis, more likely to leak, look a little out of proportion with the roof up (which in Ireland is pretty much always), are much more likely to decapitate you in the unlikely event of a rollover (despite any fancy pyrotechnic pop-ups) and lets not even talk about the massive weight, boffin baffling complexity and sheer weird lookingness of any of the metal folding roofs. All these things could easily be overlooked by a true petrol head if there was any tangible benefit to owning and driving a rag top. But there isn’t. I’d much rather do this in a Targa! The latest S Class convertible (the first full size Merc to get it’s top off in 40 years) implicitly admits this. It has wind deflectors, heated seats, heated arm rests and vents that waft warm air around each of the four occupants’ necks. The purpose of all this fancy crap is to make you feel like you aren’t actually outside. Just buy the coupe! I know that buying the folding roof tells everyone that you are wealthy but surely that means you care more about what people think of you rather than how the car actually drives? Nice but I’d take the coupe any day. The quickest and easiest way to make my point though is to talk about the absolute muck that has been foisted on the public in recent years by some of the big manufacturers. 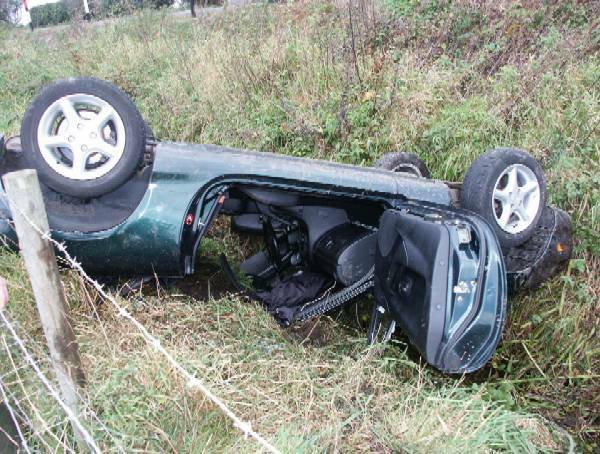 Abhorrences that jump to mind instantly include the Mitsubishi Colt CZC, VW Eos, and the Peugeot 307 CC. 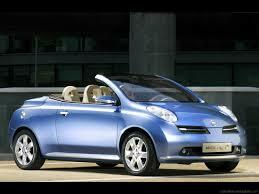 I’m going to reserve my highest level of disgust though for the unforgiveable abomination that is the Nissan Micra C+C. There is an (admittedly rare) type of car that can give you the best of both worlds. I’m not talking about a pillarless coupe with a sunroof (which believe me is already much better in almost every way compared to a cabriolet) but the Targa roof. 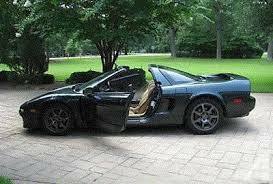 Honda’s legendary NSX (the supercar Ayrton Senna helped engineer) is a perfect example. Lots of fresh air, yet protected from the wind. Stiff body allowing good handling and no risk of chopping your head off! Beautifully proportioned and perfect with the roof up or down. Other models with this roof include Porsche 911’s and 914’s (Porsche have actually trademarked the name Targa since they pioneered this type of roof back in the 60’s) the Bugatti Veyron, Fiat’s little X1/9 and many Ferraris over the years. If you really really don’t want a roof above your head this is the only way to go. I can’t think of any convertible that looks this good. I almost get the attraction of a little 2 seater roadster, maybe as a second car for sunny days. Mazda’s MX5 is a great little car with a lovely short throw “snick” of a gearchange. We all know that it has been mathematically proven that Chris Bangle only penned cars that made people vomit on sight. However when Anders Warming helped him design the BMW Z4 I think he actually got as close as I’ve seen to perfecting the two seater drop top. (As an aside the coupe Z4 is the best thing he ever created). I think this might be my reluctant choice when my mid life crisis hits. There are a couple of notable exceptions that just look so good it’s impossible not to want one. 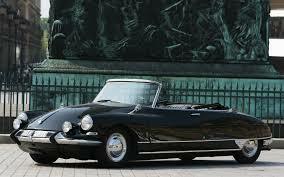 It goes without saying that Paul Bracq’s “Pagoda” SL fits into this category as does the drop dead gorgeous DS Decapotable (possibly the most beautiful car ever made). However these are the exceptions that prove my rule. I know that I’m meant to love open topped motoring and the wind in your hair is supposed to ameliorate my enjoyment of the open road but I really don’t get it. This is the crux of my conflict. My dream garage might contain two or three roadsters but my gut tells me they would be admired far more than used. Are rag tops a waste of valuable petrol? Maybe they should be kept in special museums where they can be appreciated but not driven? Actually I think they are just fine as long as I’m not in one and I can enjoy looking at someone else’s car without having anything to do with it. It used to gnaw away at me but now I have come to terms with the fact that yes I am a petrol head that just doesn’t really like convertibles. Now for my first meeting of Cabriolets Anonymous…..
All true. Shelby Cobra though deserves an honourable mention – striking the right balance between svelte curves and muscle. Not easy in a 2 seater small car. Most perfect example of breed if you ask me. I think you are actually wrong about the DS. The decapotable version to me ruins the teardrop perfection of the saloon. As I said I rarely prefer a droptop to the coupe but the decapotable accentuates the lovely long bonnet and the gorgeous short boot. Almost as good as it gets for me.